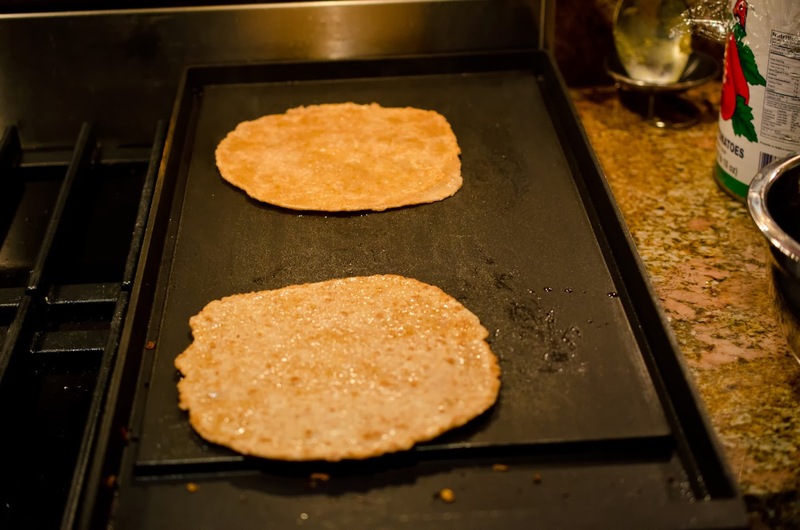 Roti is an Indian flat bread. I have a very good friend, Tina who is Indian/Guyanese. She inspired my Indian dinner tonight. She has promised to make me Roti, and probably what I made tonight wasn't as good as hers, but I wanted to have it with our Indian dinner. 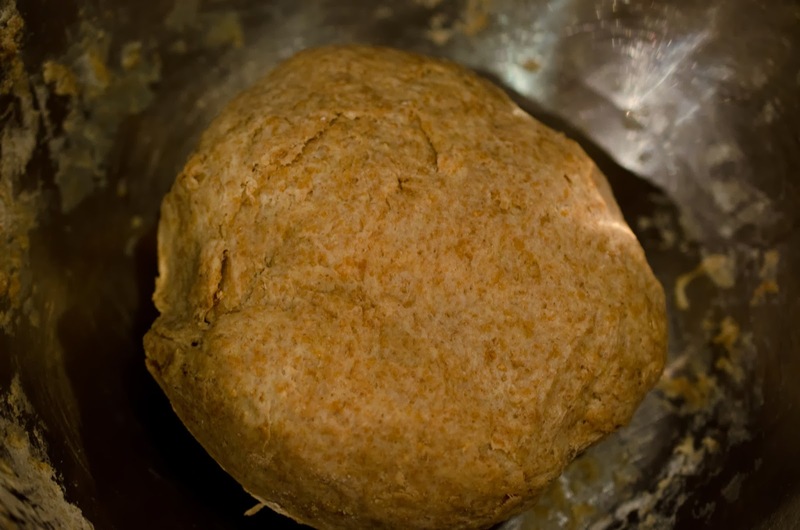 Roti is traditionally made with Chapati or whole wheat flour in English. I used Spelt instead. I also used my homemade Ghee, recipe found here. 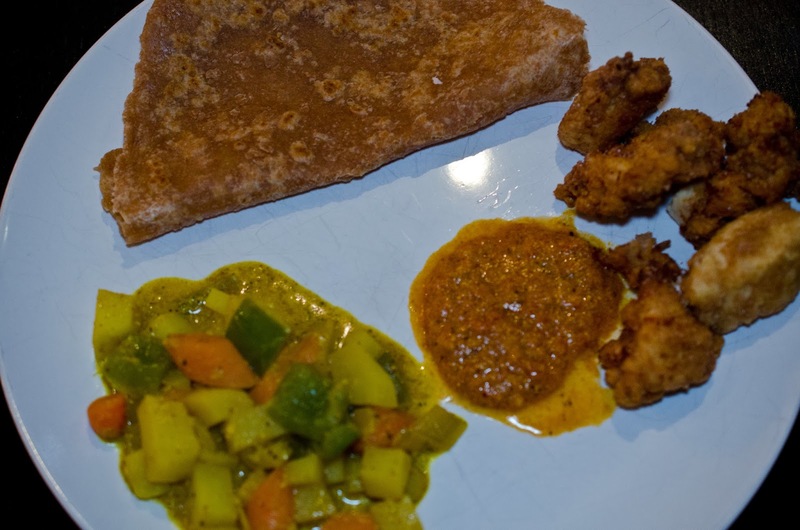 The last part of our Indian inspired dinner, Roti. We can eat now. 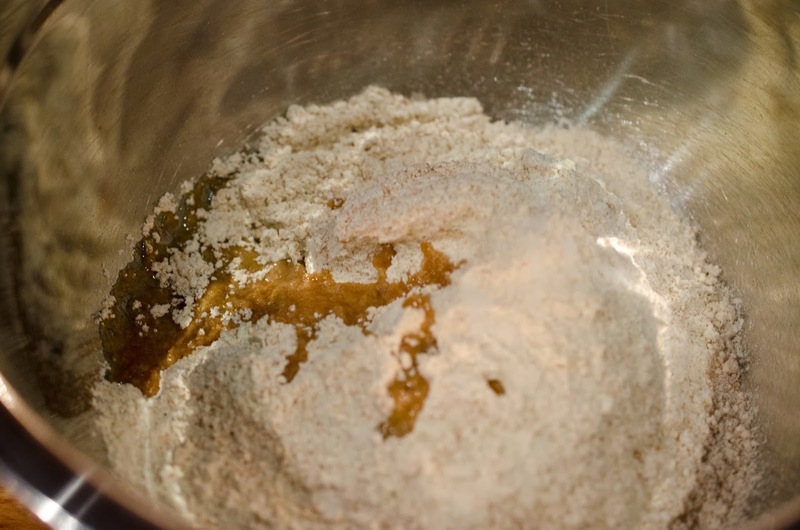 1 teaspoon salt, and 2 teaspoons Ghee (recipe found here). sticky dough. 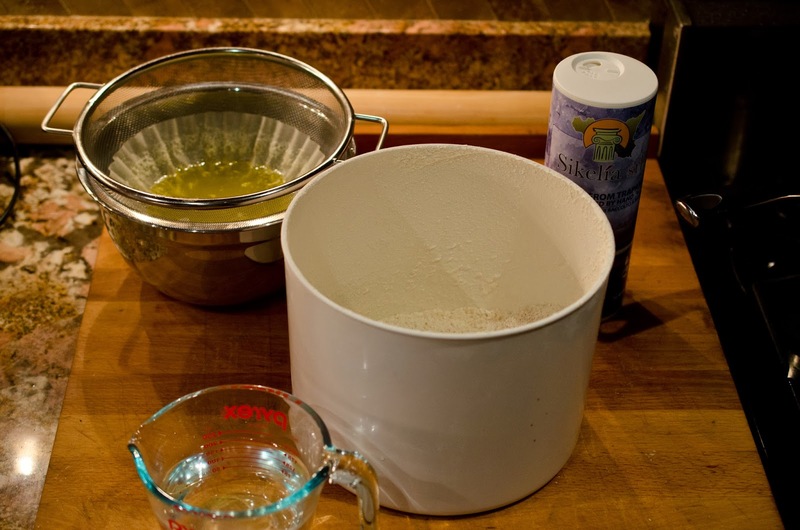 Knead the dough for a few minutes. I love dough, don't you? 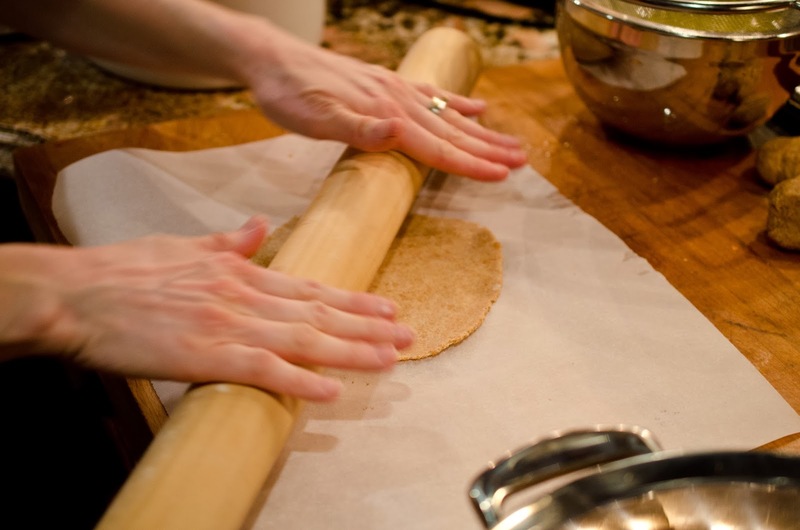 Roll out dough, to about the thickness of a tortilla. 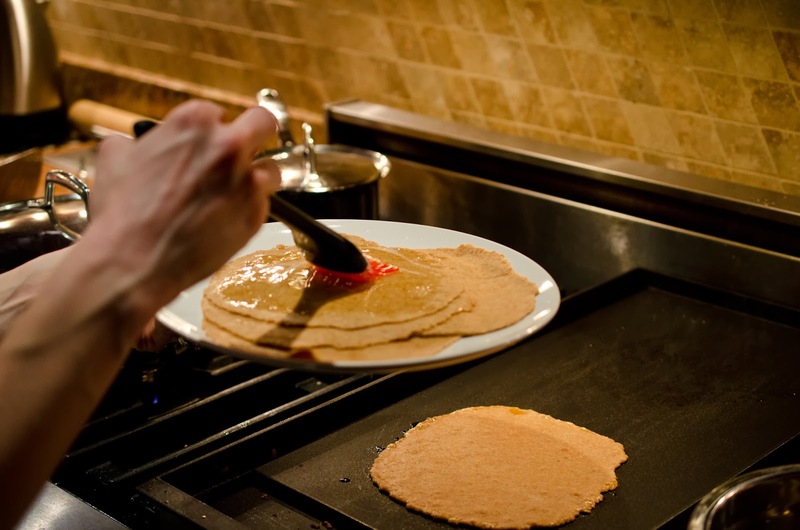 Preheat your griddle, medium-high heat. 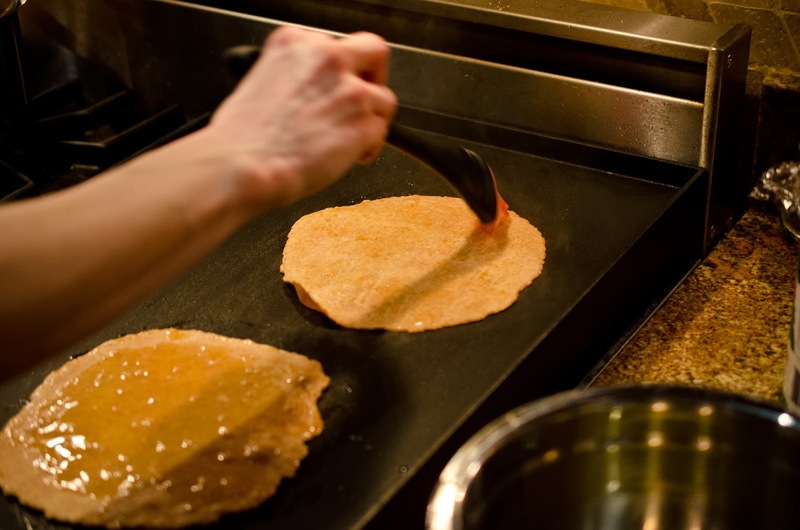 Brush Roti with Ghee and place Ghee side down on griddle. Cook until you see bubbles. Brush Ghee on the other side. Flip and cook until lightly golden brown. 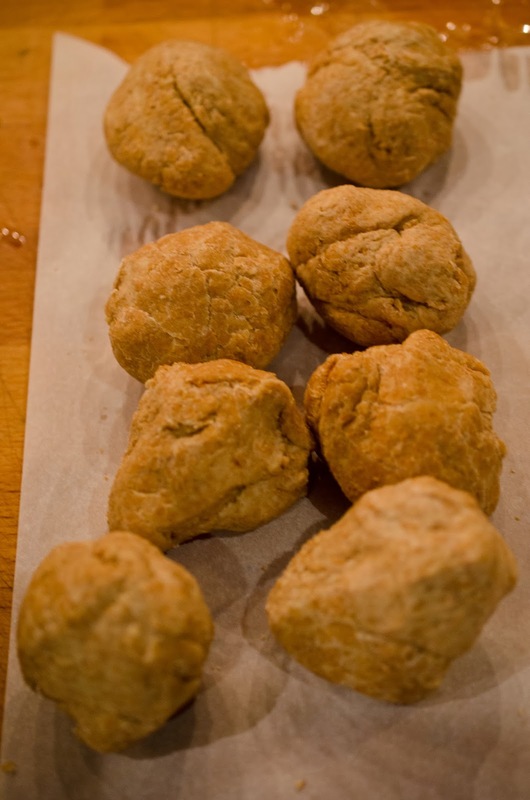 and chicken nuggets (recipe found here).